If there is a man, who was not to be envied in 2011 it has to be GOTTHARD vocalist NIC MAEDER. After the tragic death of Steve Lee he had big shoes to fill - and he succeeded. Now in 2014 he is an integrated band member, that gives the Swiss superstars a more fresh and younger note. The forthcoming record "Bang!" proves it (Review is coming soon). So it was time for me to talk with this very charismatic guy about the new album, the pressure of being the new Gotthard singer and his past. Here is what he had to say. 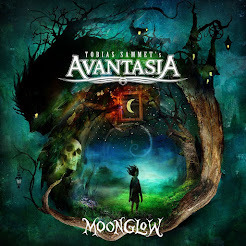 Hello Nic, this is Thomas speaking from "MyGlobalMind" and "Rock & Metal 4 You". How are you? Nic: Good, good, good. How are you? Fine, thanks. I'm talking to you from Germany, so I hope you understand me. I'm sure you don't remember me, but we met each other two years ago. I was one of the lucky people, who joined the videoshoot to "Starlight" in Berlin. Great memories. So, that leads to my first question: are you guys planning such a "fan service" again? I think it was a great experience for the fans and of course for the band. Nic: The latest videoshoot we did ... we did that with the fans as well. It was another casting with the fans. We didn't had as many people as in "Starlight", maybe 40 people or something like that. It was the videoclip for "Feel What I Feel". All the people in there are actually fans. It's been more than three years now since you joined the band. How did that change your life and you as a person? Nic: You know the first year with the band was very stressful. We really had a lot to do in a short period of time. We wrote an album, recorded an album and then we toured through 22 different countries so it was just a lot of stress, you know. But in a way I think it was good because we didn't had to speak too much. (laughs) You know, I never had the time to talk and think about the pressure too much and now everything is going into a little bit more routine, you know. It's the normal pace of things and it's great ... this sort of normality. 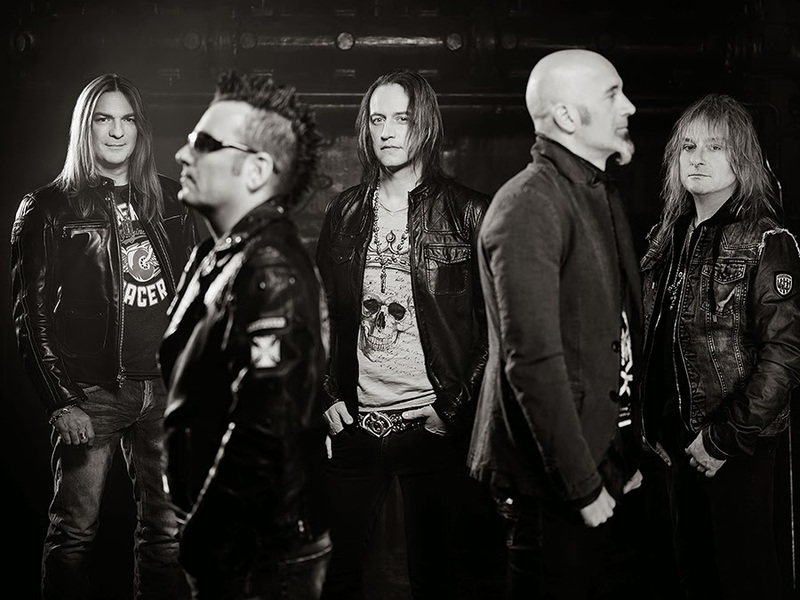 In April the new Gotthard album will hit the stores and it's called "Bang!". Why you chose this title? Nic: Well, "Bang!" was because of the song we had written. You know the band is touring around about 20 years and "Bang!" was just a fun song about touring and it also fit good to the album. One reason why I love Gotthard so much is the fact that every album sounds a bit different. So what makes "Bang!" different to previous records? Nic: Yes you are right, Gotthard always had different sounding albums and we did one album with almost very different styles and this time we probably experimented a bit more, we sort of pushed the bound a little bit more. We did songs like "Spread Your Wings" or "Thank You" which is pretty long and another difference is we really wrote that album for my voice. Now we knew each other musically a bit better because we did an album already and toured together, so we experimented a little bit more with my vocal range. Yes and you mentioned it already: a true stand-out track on this record is "Thank You" which features a playtime up to 11 minutes. What is the story behind this long song? Did you sat down and said "Oh, let's write an epic long track"? Nic: No, no, originally it was a really short song with one acoustic guitar and a voice, you know. It was a really simple song. It sort of developed because Leo had an idea, he wanted to write a song to say "Thank You" to his mother. She was really sick and passed away, so he really wanted to write this song to thank his mom. There are a lot of ways where we didn't say "Thank You" and we just think about those things when it's too late. And the song developed during the songwriting and during the production, it always kept coming back. It sort of took a life of its own, so to say. Sad story, but a great song. I read there will be three more singles till the release of "Bang!" and this is huge. Normally you release two or three singles in some months, so is this a special strategy? Nic: Oh they are not actually singles, they are just some teasers we are releasing before the album. Oh ok, so there won't be any videos? Nic: No, not at this point. I actually don't know which will be the next single, we haven't decided it yet. Yeah and then maybe there will be another videoclip. Cool. Nic, I think your influence is very present on the new album and it reminds me sometimes at some songs from your previous band Maeder. So was it easier this time to bring your own ideas into the songwriting? Nic: No I think not really, I mean we always did the songs together right from the beginning. You know, Freddy, Leo and I, we write the music together. We were always doing this together. I mean it could sound that way because we really wrote that album a lot more for my voice. Yes, to me it really feels like a new era for Gotthard, because the songs before "Firebirth" sounded somehow different - and I'm not talking about the voice here. So was it a direct decision to bring a new fresh band sound along with a new singer? Nic: It's hard to say actually, maybe it's because we experimented a little bit more and I think again like I was saying before ... there have always been a lot of different styles on one album. We even exaggerated it a bit more this time. We always had the harder and the more softer songs and we wanted to bring this thing a bit further this time. Alright, speaking about singers: are you guys still talking about Steve Lee (R.I.P.) from time to time and what he would think about the development of the band or is this topic finished? Nic: We continue to develop and we still wanna keep doing a lot of albums and I mean in a lot of ways Steve is still with us. The guys often talk about him and this story or that story, but all in a very natural way. Since "Lipservice" all albums were released internationally via Nuclear Blast and now you come along with a new label. So, what happend? Why did you change the record company? Nic: The contract with the record company was actual finished already. With "Firebirth" it was over and we searched for a new contract with the best offer (laughs) and maybe with a record company that is not as really Heavy Metal that much. You'll also go on tour this year. How do you choose the songs for the setlist? Can we expect any surprises? Nic: Yeah it's actually really hard to choose. Now it's getting a bit difficult , we're rehearsing now and putting the setlist together now. The thing is with the new album ... a lot of the songs work very well live. That makes it really hard to choose. We are putting a mix together from the new album and "Firebirth" and of course a lot of classics. People want to hear the classics. I think it's no secret that you guys are true superstars in your home country Switzerland and I think "Bang!" will also enter the pole position of the Swiss charts. So Hard Rock seems to play a big role in your country. What do you think? Why the Swiss people love this style of music so much? Nic: I don't really know. I mean particulary with Gotthard it's a band that is around for a long period of time and they build up a big following. In terms of charts and things like this you can never predict anything (laughs). We just hope for the best and see what happens. Believe me it will be number one! Nic: I hope so, I really hope so. (laughs) Lot of albums were being number one. I think the last twelve albums were being number one, so we hope the new one will continue with it. Let's talk about some more things from the past. 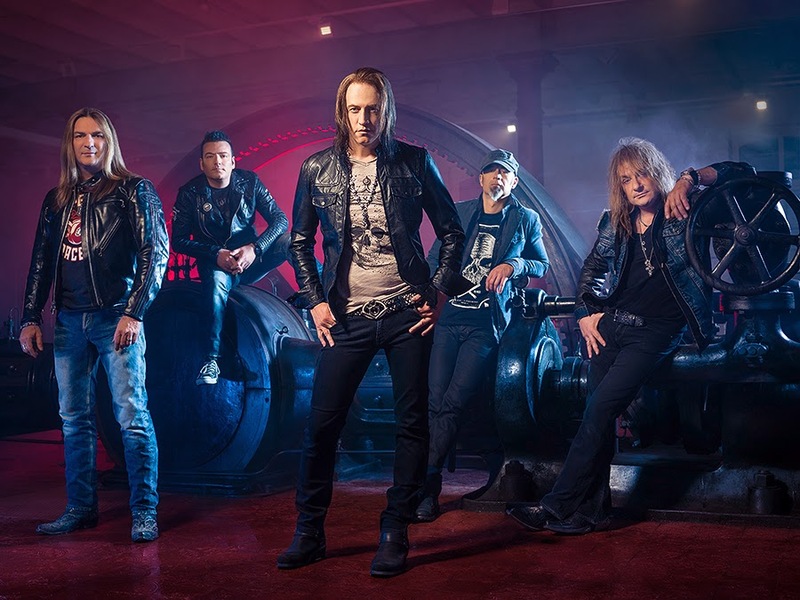 What did you expect when you joined Gotthard back in 2011? Nic: Well, I was expecting to be working a lot and I was right (laughs). I knew there would be a lot of pressure, you know joining a band like this, so I knew it would be very difficult. One thing I didn't expect and what I didn't know was how well the fans welcomed me. This was just amazing. The band was very, very lucky. It was a crazy ride, really. Yeah I can still remember when you were standing there during the videoshoot in 2012 with all those people around you and you didn't know what to do. Nic: Yes, it was all kind of new for me (laughs). I know, I know. What was the biggest sacrifice you had to bring to join the band? Nic: I don't know, there wasn't so much sacrifice for me. I mean I'm doing something I love to do. Maybe the only sacrifice I would say is being away from family a lot, because we're touring a lot and are always away. Is there something that bothers you when it comes to your fame with Gotthard? I mean there are so much people around you now and the press is talking about you and so on. What bothers you the most? Nic: I mean nothing really. Well, in Switzerland the press wants to know a lot about my private life. I used to talk about it on some articles, but I've learned to not talk about my private life anymore. Yeah, I think this is the thing that is annoying the most. By the way: what happened to the band members of Maeder? Are they playing in different bands now and could you imagine to rejoin them ... maybe if Gotthard takes a break sometime? Nic: I don't know, I mean Maeder was already finished a year before I started auditioning for Gotthard. Everybody is going off to do different little things here and there. Some of them stopped playing music and I'm really not being back to Australia once. It's hard to keep in touch with everybody, you know. Some of them have now families and things. What was your day job until you began your career in music industry? Nic: I've been pretty much doing this for the last twenty years. I've had bands, signed record deals and toured and everything. I've been doing it for a long time. So it's been a lot of time since I had to have a day job next to it, but the last job I was doing before ... I had lots of jobs, I was a sound recorder for TV, I was physiotherapist once as well for two years, where I was working with disabled people, I was also a truck driver, working in construction as well. The last job that I had was with music actually, before I joined the band. Just playing acoustic guitar and singing in bars, playing covers. So you've experienced a lot. This is my last question for today: What is your advice to young people, who want to become musicians? Nic: No, no, no, how should I say that? Everbody wants to be a star but I think a lot of people don't realize how much work it is. But I think the best thing you can do is: don't stop. Just keep going and going and going. Nic, thanks for talking. Do you have a message to your fans out there? Nic: Yeah, actually we've played a lot in Germany last time and we're really looking for meeting up with the German fans again and hopefully see some new faces there. This would be great, so we're looking forward to it. Yeah, I will see you in Berlin in November ... of course first row. Thank you for your time! Bye! Nic: Cool, thank you! Bye, bye.